Need heating and AC services in Houston? Your comfort is safe with AirCon Service Company! Backed by more than four decades of experience, our courteous and reliable technicians have served as a trusted choice for homeowners throughout the community. Whether it's time for an annual tune-up, routine inspection, or even an upgrade, our team is committed to fulfilling your household's desired level of comfort and safety. By delivering premium-quality workmanship and five-star customer care, we make beating the Texas heat in the summer and staying cozy in the winter possible! An inoperable HVAC unit is more than just an inconvenience, it's a total threat to your comfort. That's why our team is on-call 24/7 to tackle emergency requests! All of our service offerings come with a No Surprises Pricing Guarantee. The price we quote is the price you pay, meaning that when you receive your bill, the service cost will be exactly what you expected (with no hidden fees attached). Call on AirCon When You Need Us! You'll know an AirCon Service Company technician when you see one. Arriving at every home ready to hear your individual needs, they provide cost-effective and customized HVAC solutions tailored to your best interests. Our team takes all the time needed to get your heating, cooling, and indoor quality issues fixed while we're on-the-premises, and we don't leave until you're 100% satisfied. As a result of our commitment to excellence, we have earned many awards in the home service industry. 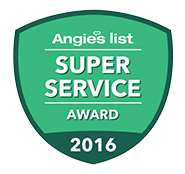 We are proud recipients of the Better Business Bureau's Pinnacle Award and Award of Excellence, Angie's List's Super Service Award, as well as a Houston Business Journal Fast 100 Honoree. We are also proud NexStar members, providing service up to par with their standards. decisions on the HVAC solutions we offer. 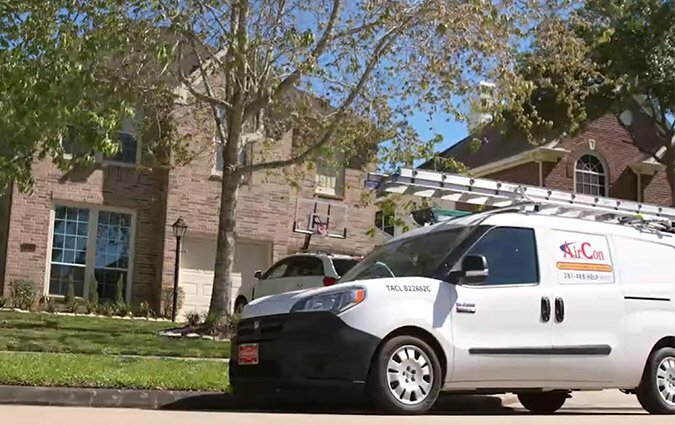 Our team has proudly served Houston for over 40 years. HVAC unit back up and running in no time. With AirCon, you get service with no surprise fees attached! Need financing? We've got a plethora of options to choose from! On-Call 24 Hours a Day, 7 Days a Week!